The Refinery Eye Gel is a cooling gel that helps to reduce dark circles, fine lines and puffiness. Formulated with Rose-hip Seed Oil, The Refinery Eye Gel hydrates and strengthens the delicate eye area. Formulated with Hyaluronic Acid, one of the most powerful moisturising ingredients available, The Refinery Eye Gel boosts the under-eye area leaving it nourished, hydrated and looking well-rested. Applied daily, this soothing eye treatment will keep tired-eyes at bay and ensure this delicate area is kept in top form. Try to store this somewhere cool to maximise its performance. Soothe, cool and renew your under-eye area with The Refinery Eye Gel for men. This lightweight soothing serum is instantly absorbed by the skin and penetrates deep into the vulnerable eye area to lift and lighten the skin. 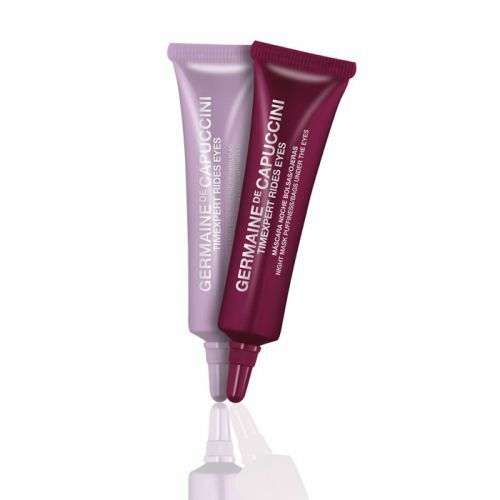 The Refinery Eye Gel softens and drains the eye area and helps to boost the complexion. If you have dark circles under your eyes, try storing The Refinery Eye Gel in the fridge to enhance the cooling effect. Aqua (Water), Aloe Barbadensis Leaf Juice, Citrus Aurantium Dulcis (Orange) Flower Water, Glycerin, Galatoarabinan, Phenoxyethanol, Carbomer, Tocopherol, Tocopheryl Acetate, Ethylhexylglycerin, Rosa Rubiginosa Seed Oil, Sodium Hyaluronate, Sodium Hydroxide. Simply pat a tiny amount of this hydrating eye gel around the eye area and let it soak in. Wish I had fobud this eye gel earlier.! The eye gel feels refreshing and the results are wonderful. I have bags under my eyes and I smoke so I need something quite powerful to get me sorted in the morning. This stuff is quite expensive but I do really like it. I like The Refinery's approach using natural ingredients etc and their connection to Aromatherapy Associates. This eye gel is good on tired eyes and definitely helps to reduce puffiness.